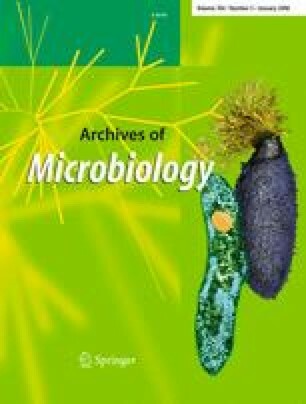 To advance our knowledge of the model cyanobacterium Synechocystis sp. PCC 6803 we investigated the three-dimensional organization of the cytoplasm using standard transmission electron microscopy and electron tomography. Electron tomography allows a resolution of ~5 nm in all three dimensions, superior to the resolution of most traditional electron microscopy, which is often limited in part by the thickness of the section (70 nm). The thylakoid membrane pairs formed layered sheets that followed the periphery of the cell and converged at various sites near the cytoplasmic membrane. At some of these sites, the margins of thylakoid membranes associated closely along the external surface of rod-like structures termed thylakoid centers, which sometimes traversed nearly the entire periphery of the cell. The thylakoid membranes surrounded the central cytoplasm that contained inclusions such as ribosomes and carboxysomes. Lipid bodies were dispersed throughout the peripheral cytoplasm and often juxtaposed with cytoplasmic and thylakoid membranes suggesting involvement in thylakoid maintenance or biogenesis. Ribosomes were numerous and mainly located throughout the central cytoplasm with some associated with thylakoid and cytoplasmic membranes. Some ribosomes were attached along internal unit-membrane-like sheets located in the central cytoplasm and appeared to be continuous with existing thylakoid membranes. These results present a detailed analysis of the structure of Synechocystis sp. PCC 6803 using high-resolution bioimaging techniques and will allow future evaluation and comparison with gene-deletion mutants. Supplementary material is available for this article at http://dx.doi.org/10.1007/s00203-005-0027-y and is accessible for authorized users. This research was supported by the U.S. Department of Energy GTL: Genomics Project, # DE-FG03–01ER15251 (WV, RWR). Electron tomography was performed at the facilities of the Boulder Laboratory for 3-D Electron Microscopy of Cells, University of Colorado, Boulder, CO. The authors wish to thank Drs. Eileen O’Toole and David Mastronarde of the Boulder Laboratory for help and guidance with tomography software. Work done in the Boulder Lab was supported by a grant from the National Institutes of Health (RR-00592, J.R. McIntosh, principal investigator). Electron microscopy at ASU was carried out in the Life Sciences Electron Microscopy Facility (TEM) and the Center for Solid State Sciences (cryo-SEM; NSF MRI Grant CTS-0216530). We thank Dr. Ken Hoober (ASU) for engaging in thoughtful discussions and for helpful suggestions and Dr. Dmitrii Vavilin (ASU) for Russian to English translations.